Where Do Inner Circle Members Find The Untagged Version of a Beat? As an Inner Circle member, you get free non-exclusive licenses to all of our new beats, a month before they're even available for sale to the public. If you're a Gold or Platinum Level Member, you get Professional Licenses which include the tracked-out wav files to the beats and the completely untagged version of the beat. 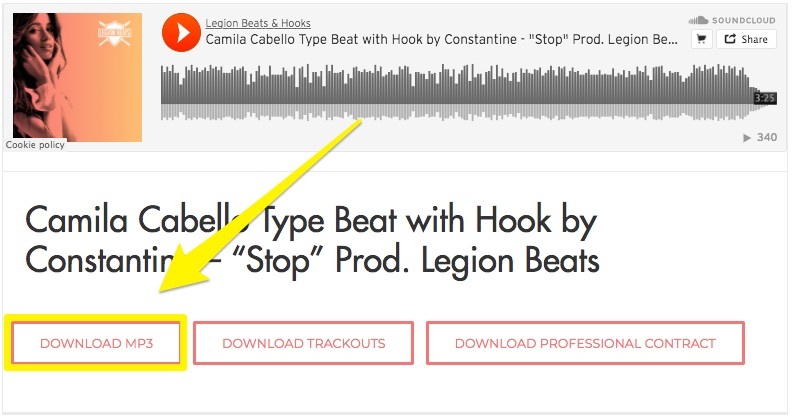 Starter Level Members get Basic Licenses, which include a high quality MP3 download of the beat with one tag in the intro. To download the MP3, click the "Download MP3" button directly below the beat you'd like to download. Download the trackouts folder. It is a zip folder and will be a pretty large file, so you'll most likely need to download this on a computer and not a phone.